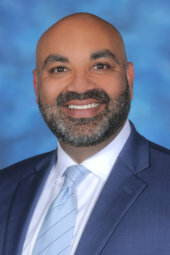 Dr. Bajaj joined ROA in 2007. He is the Chairman and Medical Director of Radiation Oncology for the Inova Schar Cancer Research Institute. Prior to coming to Fairfax Hospital, he was on the faculty at Johns Hopkins Hospital Department of Radiation Oncology and Molecular Radiation Sciences where he served as chief of radiation oncology for the head and neck cancer service. He brings special expertise in the treatment of head and neck cancer and upper aerodigestive cancers, particularly through the use of RapidArc IMRT and image guided radiation therapy (IGRT). His other areas of interest and include lung, esophageal, gastrointestinal, brain and prostate tumors with CyberKnife robotic stereotactic radiosurgery. He is also actively involved in research and care of patients with Dupuytren’s and Ledderhose diseases. Dr. Bajaj graduated with honors from the University of Kansas, receiving degrees in Biology and Genetics. He received his medical degree from the University of Kansas School of Medicine, where he was elected to the Alpha Omega Alpha Medical Honor Society. He has also performed cancer research at the Otto-von-Guericke Universität in Magdeburg, Germany and gastrointestinal oncology training at The University of Amsterdam’s Academish Medisch Centrum. He went on to complete an Internal Medicine Internship at Harvard Medical School’s Beth Israel Deaconess Medical Center, and a Radiation Oncology residency at The Johns Hopkins Hospital, where he was honored with the title of Chief Resident. He has lectured and published numerous textbook chapters, scientific articles and reviews on the treatment of head and neck cancers, prostate cancer, breast cancer and emerging technologies in radiation oncology. 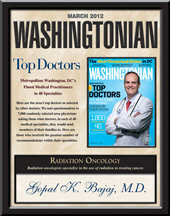 Dr. Bajaj has consistently been recognized as a Top Doctor in Washingtonian and Northern Virginia Magazines as well as in U.S. News and World Report and Castle Connolly’s America’s Top Doctors lists. 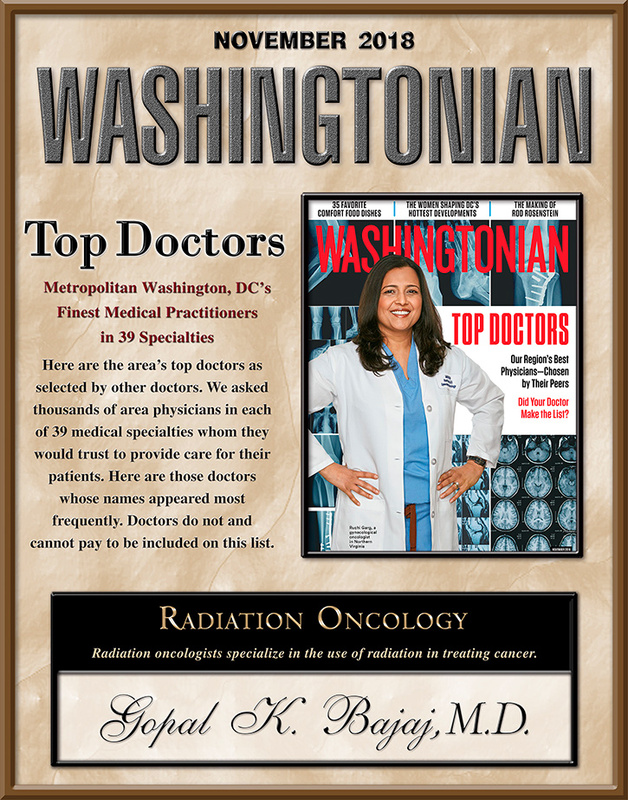 Dr. Bajaj is Board Certified in Radiation Oncology. Very pleased with all aspects of treatment. Doctors, nurses, therapists and all staff were very attentive and extremely nice during all of my visits. Dupuytrens, Ledderhose and Related Conditions Support – Click to visit page.